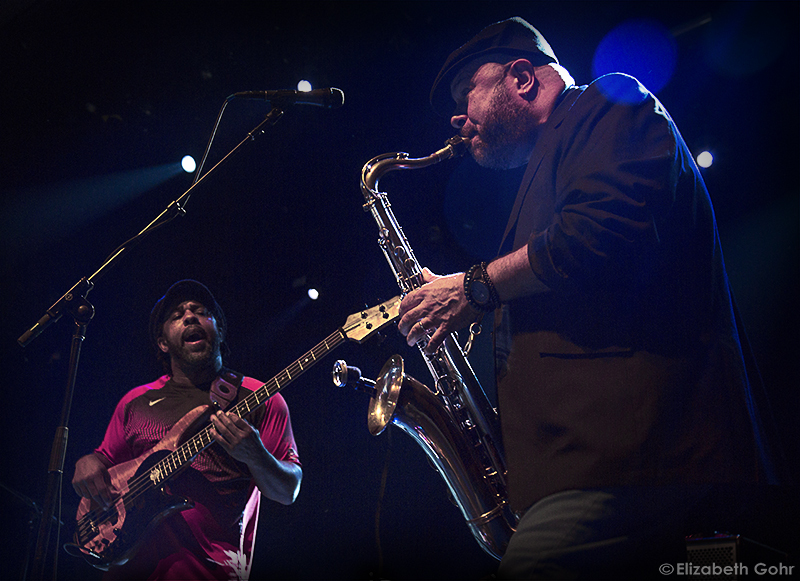 Over the course of his thirty-year career, Victor Wooten has developed a reputation for being one of the most astonishing musicians and bass players in the world. 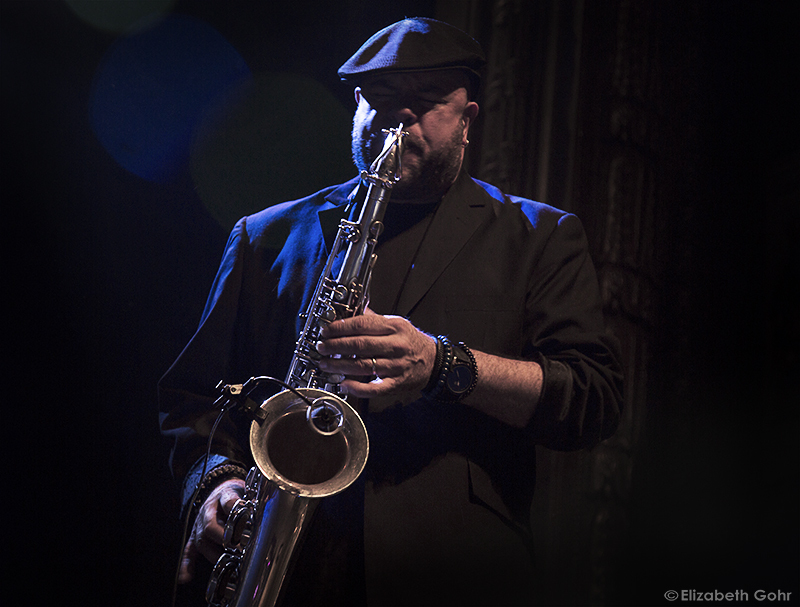 This was evident on Friday night as Wooten along with legendary jazz/funk drummer Dennis Chambers and saxophonist/clarinetist Bob Franceschini ripped through a stunning two hour set to a packed house at the Regency Ballroom. In most Western music there is a typically an instrument playing chords (a collection of musical notes) that outline a harmonic chord progression. 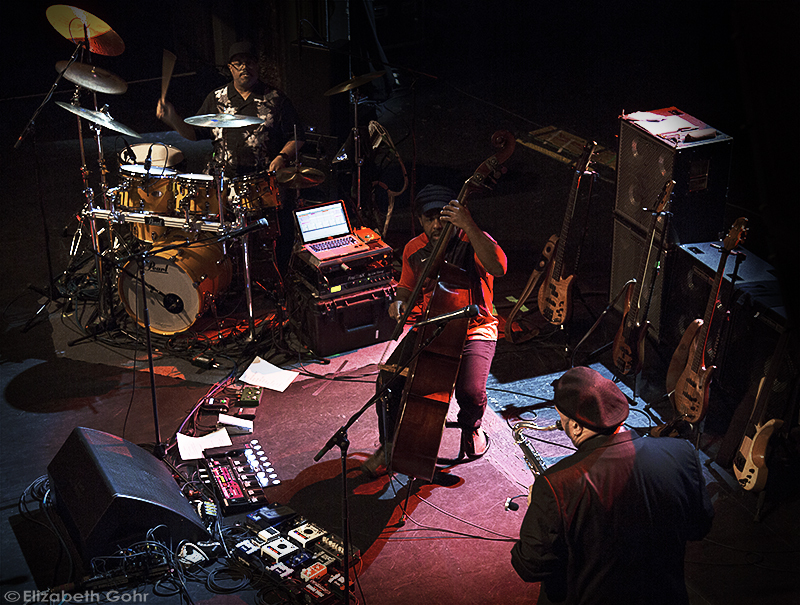 However, the Victor Wooten Trio did not have such an instrument, leading to a series of wildly unpredictable and stunning musical performances. 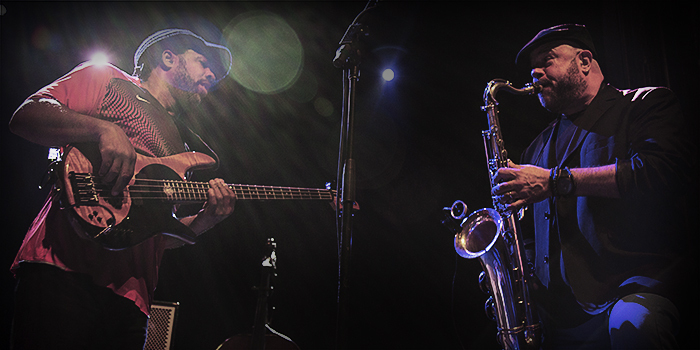 Beginning with the grooving “DC10,” it was clear that the trio was intent on pushing each other to greater and greater musical heights, with Wooten and Chambers displaying incredible interplay and feeding off the energy of the crowd. What makes Wooten so compelling as a musician is not merely his blazing speed on the instrument but his ability to take seemingly un-musical techniques into a dominant force capable of exceedingly interesting melodic passages that captivate the listener. Known for his hyper percussive slap bass style of playing, Wooten was intent on wowing the crowd with dazzling and tuneful solos and licks. The sheer amount of musical ground covered by the trio was astonishing, as songs would shift from whacked out free jazz to hard-charging funk in the blink of an eye. Like a lot of jazz and funk music, these songs went into improvised detours, as each member of the trio dished out stellar solos. This makes it difficult to really pick a standout song considering just how powerful and gripping each one was, but it was hard to not get caught up in the mid-set stunner “Zenergy,” a song Wooten recorded with the legendary banjo player Bela Fleck. The song began with a sublime unaccompanied solo from Franceschini before the trio settled into a sweet groove. Another highlight came during the end of the song “13th Floor” where Wooten began a nonstop bass solo that lasted for well over ten minutes. 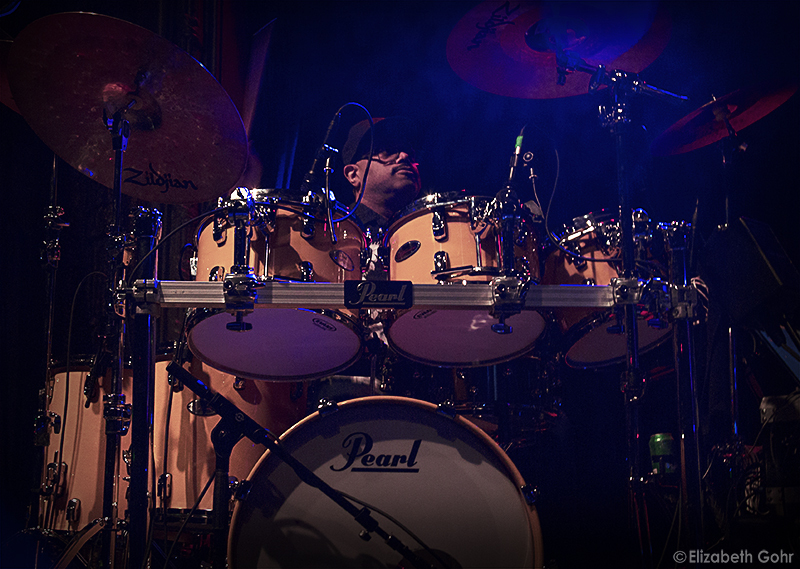 Deploying every technique in his arsenal, Wooten tore through warp speed runs and melodic playing. Perhaps the most interesting part of the solo was when he began to play a semi-hollow body fretless bass with a bow, creating a dense orchestral sound that was a joy to listen to. Throughout the evening it was evident just how much fun the three of them were having on stage, a fact that Wooten made clear to the crowd on a couple of different occasions. After a brief break to take a breather from all the outrageous playing, the trio returned to the stage to close out the night with the jazzy swing of “Cruisin’,” a song that blended delicate passages with aggressive and hyper-technical runs. 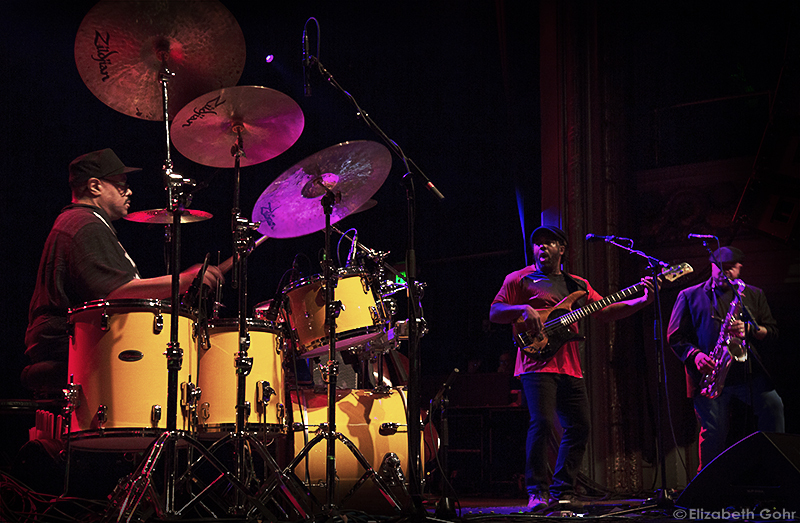 With so much great music to dig into and so many wildly unpredictable moments throughout the evening, The Victor Wooten Trio showed that they are one of the most dazzling and explosive live acts around today. 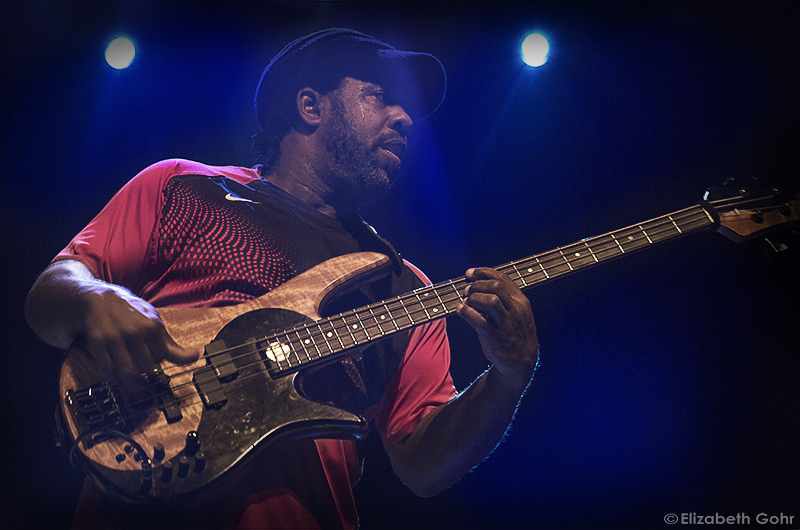 Learn all about Victor Wooten here.